Looking to spend a day with the kids at the beach in San Diego? With its pristine beaches, near perfect-weather, beachfront dining and plenty of sweet-treat shops, Coronado is a great and easy option. 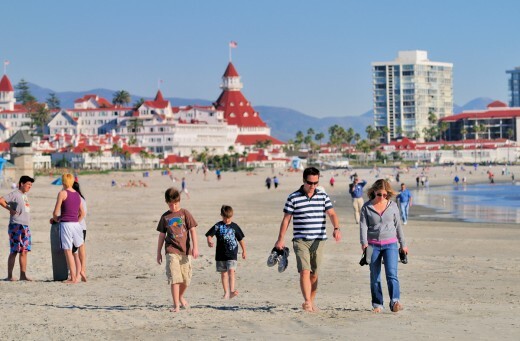 To make your beach trip even easier, here are just a few of the things you can add to your itinerary throughout the day in Coronado. 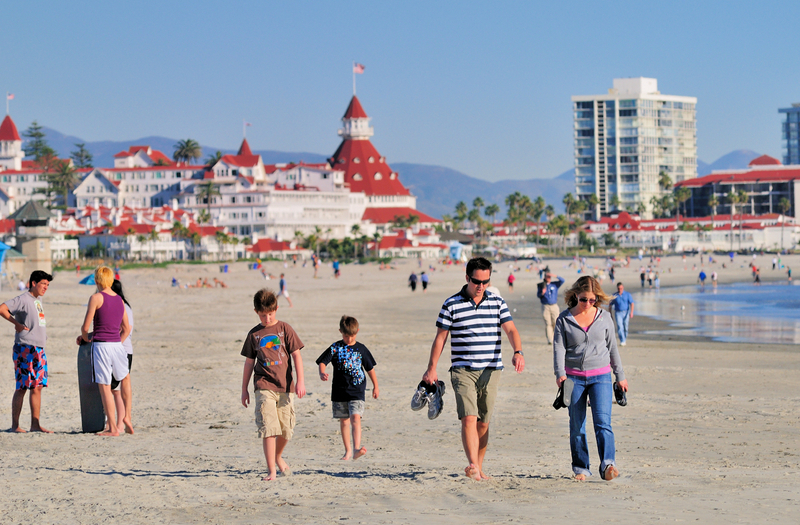 Start off a day with the kids at Coronado Beach, the #1 Beach in America! The kids can easily spend hours splashing in the water and building monumental sandcastles while you lounge on the towel with your favorite book. When lunchtime comes around and the kids are hungry, you don’t want to have to go far and luckily Sheerwater at the Hotel del Coronado is just steps away from the beach. The kids menu has favorites including hamburgers, pizza, grilled cheese, chicken fingers and more. While the kids chow down, you can relax with more “adult” options while enjoying the sunshine and the sound of the ocean waves accompanied with your kids excitement. After lunch, head back to the beach for a few more hours and then take a sweet mid-afternoon walk to pick up a yummy treat. If the day is really warm, pop into Mootime Creamery for hand-made ice cream served in fresh waffle cones, all made daily. With two convenient locations in the Hotel del and on Orange Avenue, you never have to go far from the beach. In the mood for some chocolate or another confectionary delight? Fuzziwig’s Candy Factory is the spot for you and the kids. Chocolate, caramel and more are made daily for your enjoyment. If the kids are on their best behavior, they might even receive a free sample! If you don’t need the sugar rush, spoil the kids by allowing them to pick out a toy at the Blue Octopus Toy Store in the Hotel Del. This blue store has something fun for everyone including big plush octopi (of course), stickers, games, coloring books and more. The perfect thing to distract the kids for the rest of the evening. Why not extend the fun with an overnight on the island. 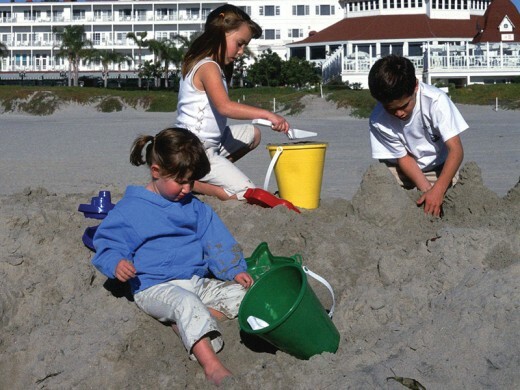 During the month of October (2012), book a stay at the Hotel del Coronado or the Glorietta Bay Inn and they will surprise the kids with a Free Welcome Gift. With a room booked on the island, head out for dinner with Vigilucci’s Ristorante Coronado, which has a Kids Eat Free offer this October! The next morning, step back in time with breakfast at Clayton’s Coffee Shop. 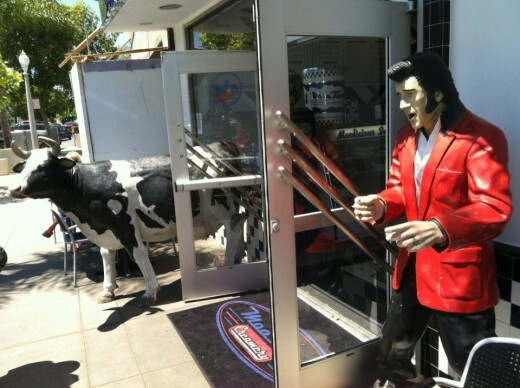 Take a seat in a retro “leather” booth or cozy on up to a chrome stool around the horseshoe counter and start off the day with delicious pancakes, waffles, omelets or cup of coffee. Don’t worry if you sleep in, breakfast is served all day at Clayton’s! After breakfast, finish off your stay by learning the history of the Enchanted Island at the Coronado Museum of History and Art. In October, the museum extends a special a Kids Go Free Offer. Is there something or someplace else you would take this kids during a visit to Coronado? Let us and others know in the comments below. This entry was posted in Family Vacations and tagged beach, coronado, family, food, kids, kids free in october, lunch, offers, San Diego, sand castles by Brent Bernasconi. Bookmark the permalink. Spending time with the kids in the beach is a really fun way to bond with them. Thanks for giving us another option because we love exploring different beaches here in San Diego. How much would I likely be spending for a one-week getaway in Coronado?